Rajinikanth Film Review From Manithan. Manithan Movie. Rajini Film Manithan. Rajinikanth Manithan movie. www.rajinikanth.com. 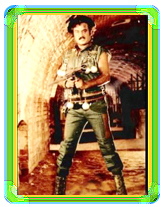 This was the second movie in the same year (1987) and for Rajini the count increased to 114. The people saw different Rajini with a different hair style. The film had a little bit of political dialogues. Cho Ramasmay also performed in this movie. Rubini played opposite to Rajini and again the movie was directed by S.P.Muthuraman. The music was scored by ChandraBose and the songs are a special gift to theatre dancers. The film did not do the expected business, but still his fans enjoyed the film.